April Klein is a professor of accounting at New York University Stern School of Business. Professor Klein teaches courses in financial accounting, financial statement analysis, and mergers and acquisitions. She also teaches financial accounting at the New York University Law School. Professor Klein's primary research areas include audit committees, corporate governance, earnings management, hedge fund activism, financial accounting, and securities law. Professor Klein has been published in numerous journals including The Journal of Accounting & Economics, The Accounting Review, Journal of Law and Economics, The Journal of Finance and The Journal of Financial Economics. 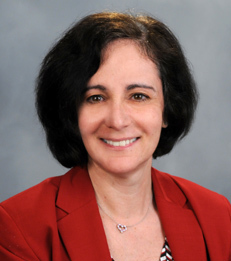 Professor Klein received her Bachelor of Arts from the University of Pennsylvania, her Master of Business Administration and Doctor of Philosophy in finance from the University of Chicago. Her dissertation advisor was the Nobel laureate, Merton Miller. Is the Three-Person Independent Audit Committee Requirement Superfluous?